All New, Completely Redesigned Toyota RAV4! 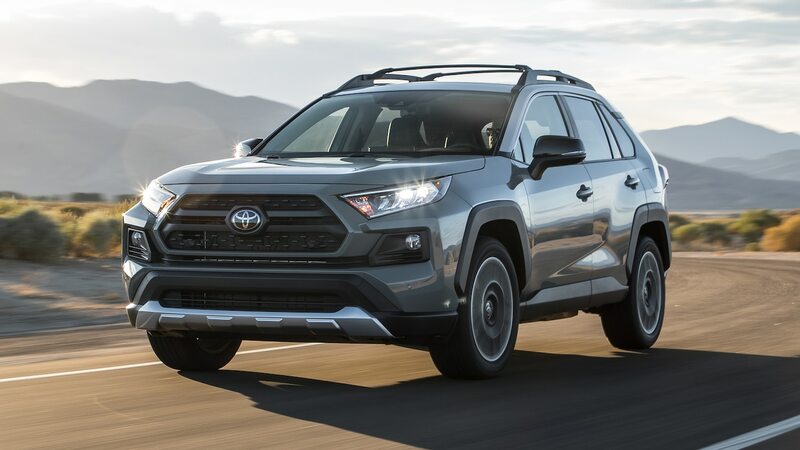 If you've been hanging out under a rock, chances are you've heard about the completely redesigned 2019 Toyota RAV4. We haven't been able to quit talking about it, we're just so excited over the upgrades and fresh changes made! "Completely Redesigned" doesn't really get into the nitty gritty of just WHAT has changed, so we're here to break it down a bit for you. Our next Meet The Team series post needs no introduction, but we'll give him one anyway! We're pleased to bring you Muscatine's Golden Boy, Jim Greenhaw! Chances are if you're from the area or have lived here awhile, you've heard of or had the pleasure of meeting Jimmy. He's a huge advocate for the community and always has a smile (or smart remark!) for everyone he meets. Happy Monday Muscatine! We wanted to start your week off on the right foot by continuing our "Meet The Team" series. This week, we're proud to introduce you to our resident Parts Manager (and sometimes comedienne!) Ashley Jacks! She may be vertically challenged, but her personality more than makes up for any "short" comings! We know that people buy cars from people they like. We happen to think you'll like our people as well! Here at Toyota of Muscatine, we'd like to think that we have a knack for finding the right additions to our team to best serve our customers. We're pleased to introduce you to our newest team member, Frank Cruz! School Is Back In Full Force! We're one week into the new 2018-2019 School Year and I'm sure everyone is ready for a vacation already. The stresses of a new school year can be daunting on students, teachers, and parents alike. While we can't eliminate ALL of the pressures of your day-to-day life, we CAN offer you some helpful vehicle maintenance tips to keep in mind as you try to navigate through the academic year. Whether you're a first-time driver or a seasoned expert, hopefully you can find some peace of mind with our suggestions. Welcome to the Muscatine Motormouth Blog! Happy Hump Day and Welcome to our new blog! Here we hope to provide you with relevant, pertinent information on all things Toyota of Muscatine! We want to give you a useful resource for all things dealership related from Toyota products to community sponsorships/events to job opportunities and more! Employee Highlights - get to know your Toyota of Muscatine team! The Giant Panda (Ailuropoda melanoleuca), a species that has been in danger of extinction since before you were born, is out of hot water -- at least for now. On September 4, the International Union for Conservation of Nature (IUCN) reduced the panda's conservation status from "Endangered" to "Vulnerable." Toyota has a long relationship with Yellowstone National Park. In 2010, the park was constructing a new Old Faithful Visitor Education Center. Toyota had recently built its own LEED Gold-certified office, and lent its expertise to help the park achieve LEED certification for the new center.